A while ago I got some books about Rob (that I never had thought of buying myself) from a dear friend. Although I didn't find much 'new' information in them, I still enjoyed the read. I decided to read more books about Rob so I would know what is on the market and I would be able to advise other Rob fans about which books are worth to buy and which are not. 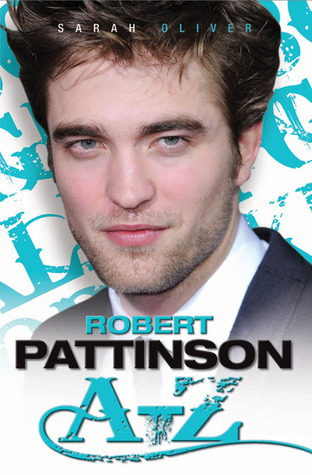 This one I liked, because the writing style was entertaining, the information is quite detailed and contains mainly quotes from interviews Rob and/or his cast mates have given.I think I can recommend this one to all Rob's fans. It describes his life from the early days until the fall of 2010, but not in a logical chronological order which makes it kind of chaotic. The book has some beautiful and quite large color pics, but most of them are black and white and not of the best quality which is another downer. Especially when you came late on the Rob-train it's nice to get up to date about that early period of his life. For me personally there are hardly any revelations in this book, besides from one or two tiny details, because most the info is pretty standard stuff. Let’s be honest.... you need to be a lover of the one and only Robert Pattinson to enjoy this book and that’s all I can say about the book.